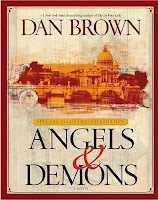 This is going to be a quick review, because this is a book that just “is what it is.” “Angels & Demons” is a thriller about Robert Langdon, a Harvard symbologist who happens to be able to cheat death on numerous occasions due to his knowledge of history and religious symbols. Langdon is flown into CERN, the European Organization for Nuclear Research, to investigate a death of a scientist, claimed to be killed by the Illuminati (a satanic cult). The killer has stolen “antimatter”, which when not stabilized, can cause more damage than a nuclear bomb. The “antimatter” is placed somewhere in the Vatican and is scheduled to react with matter (blow-up) in 24 hours. 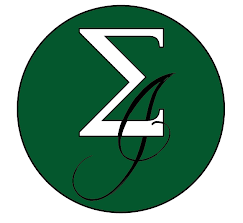 The plot of the story details the quest to find the killer and save the Vatican while restoring order to the institute of religion. This book is a page turner, but the characters (especially Langdon) are formulaic. The ‘love story’ is cliche and the plot was similar to “The DaVinci Code”, Dan Brown’s most famous work. “Angels & Demons” was a story based on a bunch of conspiracy theories which happened to teach us a little bit about Rome and the Vatican. The problem with these types of books, is that you are never certain which pieces are fictional and which are non-fictional unless you do additional research. The enjoyment I got from the book was from revisiting places that I had seen in Rome, coupled with things that I had missed (ie: The Pantheon was closed when I was there). The illustrated edition helped with this aspect of the book greatly; the pictures, on the whole, were well done. In addition, Dan Brown included some good points on the religion versus science debate and the nature of our society (in two speeches in particular), but overall this novel’s true character came out: it was a smutty attempt at literature in an effort to make one man and his publisher rich.